Sun Country Airlines held its first trade show in the US, giving the destinations an ample showcase to present themselves to their Natural Market in preparation for the 2016-2017 Winter Season. 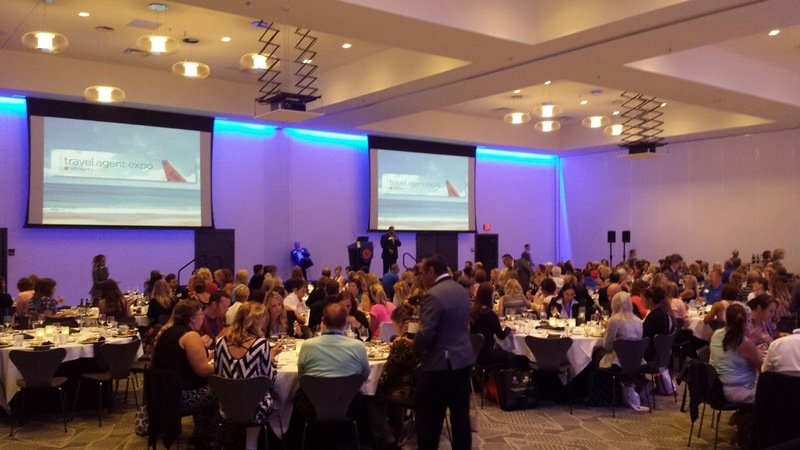 The Riviera Nayarit Convention and Visitors Bureau and the Puerto Vallarta Tourism Trust took the destinations on a promotional tour to Minneapolis, Minnesota, the second week of August 2016. The team participated in the Sun Country Airlines Travel Agent Expo at the Radisson Blu Mall of America as part of the strategies implemented by the Puerto Vallarta-Riviera Nayarit Joint Promotional Tour. This trade show was the first to be hosted by the US-based airline and tour operator. 250 travel agents from the Minneapolis area attended the show, where they were updated with the latest and newest info from the destinations and received promotional material, including tour guides and maps. The Riviera Nayarit and Puerto Vallarta are Sun Country’s favorite destinations in the Mexican Pacific. On the other hand, the clients who travel with this wholesaler and airline make up both destinations’ Natural Market. According to information posted Sun Country, the company has nearly doubled its airlift in recent years—they now have 24 150-passenger planes. Approximately 15 hotels from both destinations accompanied the Riviera Nayarit CVB and the PV Fidetur during their business trip, helping to reinforce the message.